On the concept of Cabin Culture. If you’re Norwegian, you’re certainly familiar with the concept. If you’re not, let me introduce you to one of the most Norwegian things to ever exist: The cabin culture. First of all, you should know that a cabin is a small house at the mountain or in the forest. There might or might not be electricity and running water and an ‘utedo’ (an outdoors toilet??). Staying at one usually means doing dishes manually, eating copious amounts of candy, going for hikes and generally not wearing proper clothes for the entire stay. On fact, this music video pretty much nails it. So why this lesson on Norwegian culture? Well, it is the reason that there won’t be a post on Tuesday (tomorrow) or Wednesday this week. Julie (my best friend) and I are going to her family’s cabin for a few days, and there is predictably no wifi. There might even not be reception. We’ll see. 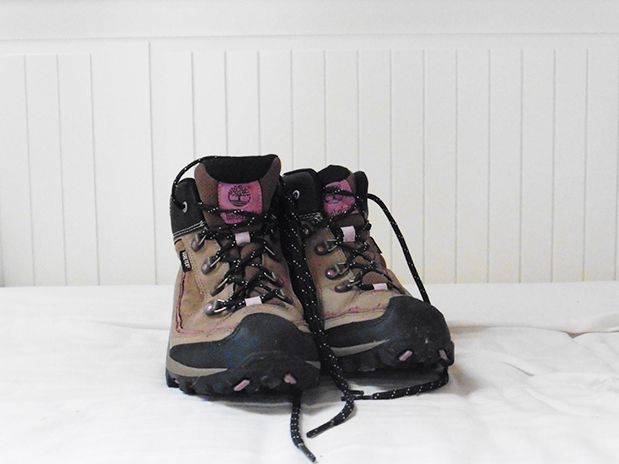 The plan for those days are as follows: Hiking with the family dog, baking cinnamon rolls, colouring in our colouring books, watching Project Runway, watching about 8 billion rom coms and having a jam session in the car. 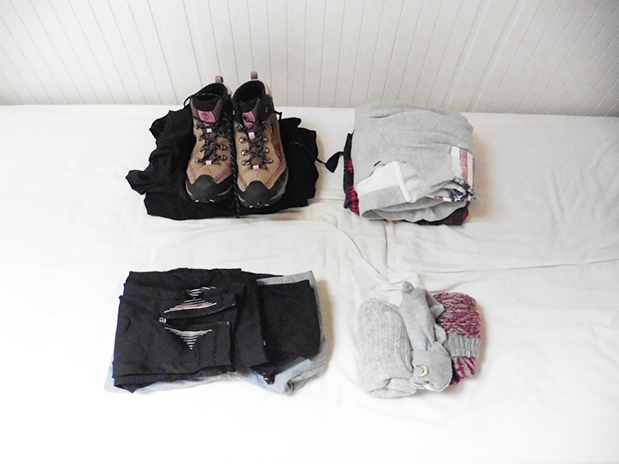 As you can see from my packing pictures, I’m mostly bringing shoes for hiking, clothes for hiking, pyjamas and comfy clothes. It’ll be a good few days. Even though there won’t be wifi, there will definitely be taken pictures, and I plan on sharing (almost) all of them with you when I get back on Thursday. Be excited! This is awesome because I’m from Newfoundland, Canada and cabin culture is a big thing here as well! I love the fact that it’s part of other places too; it’s kind of difficult to describe to people who don’t know it. Campfires, hikes, tearing around on quads, canoeing, it’s awesome!